Mid August is definitely making a case for being one of the best times of the year to cook. 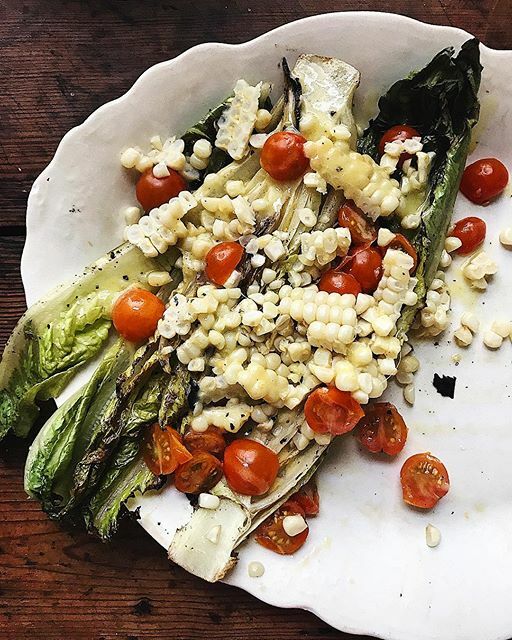 Between this week's corn bisque to the burrata salad, to the grilled romaine, we're really loving all the fresh produce that's available right now. Don't waste any time to head to the market and get crackin' on this week's meals. Sign up for our Weekly Meal Planner Email Newsletter here to have 6 great dinner recipes (along with a full shopping list) delivered to your inbox every Sunday! 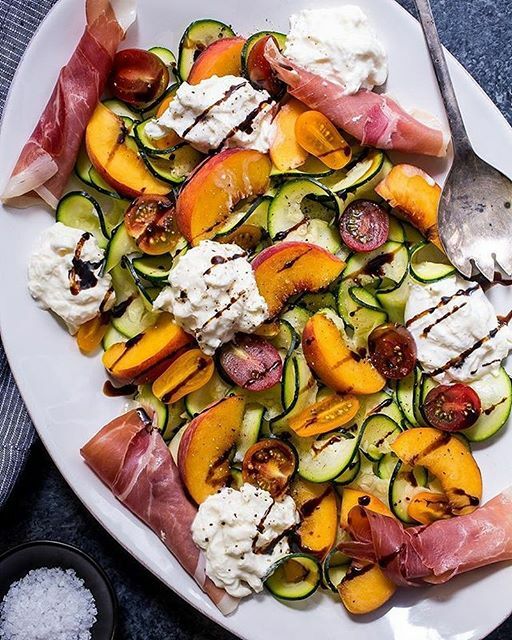 You probably went to the local market today, so this is definitely the salad you're going to make with all those fresh goodies. Plus burrata? Yeah, it doesn't get much better than this. Feedfeed Tip If you don't have a spiralizer, use a vegetable peeler to shave the zucchini into those luscious, flat noodles. It's amazing how a quick char on the grill can take a head of romaine to the next level. Topped with fresh summer corn and cherry tomatoes, this dinner is a certified, family-pleasing winner. Feedfeed Tip While an outdoor grill would be best, you can always use a grill pan or cast-iron skillet over the stove to get some nice color on the lettuce. 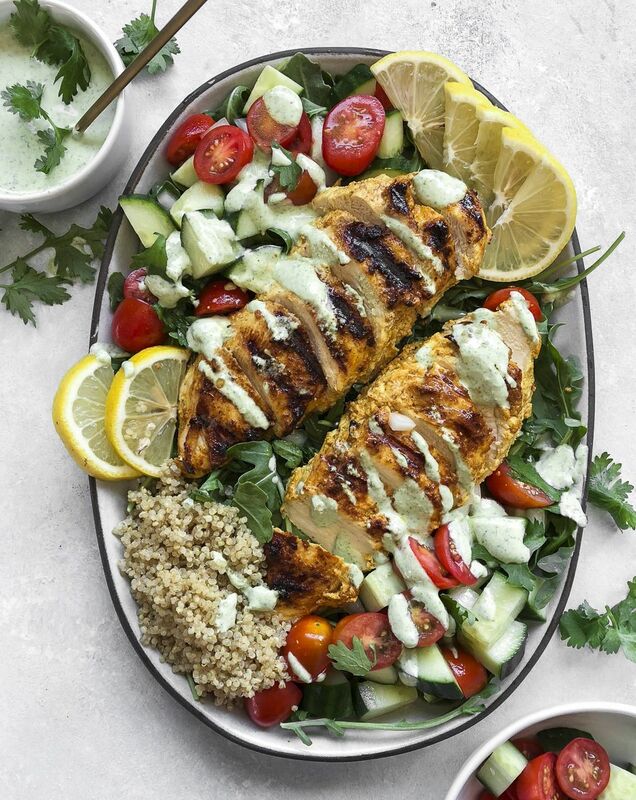 Crispy, spicy chicken breasts atop a fresh green salad and doused in an ultra-fresh, minty yogurt sauce make this dinner a tried-and-true-favorite. Extra lemon slices, please. Feedfeed Tip Not all marinades need to sit overnight! This quick 20-minute marinade makes cooking flavorful, succulent chicken way less of a chore. 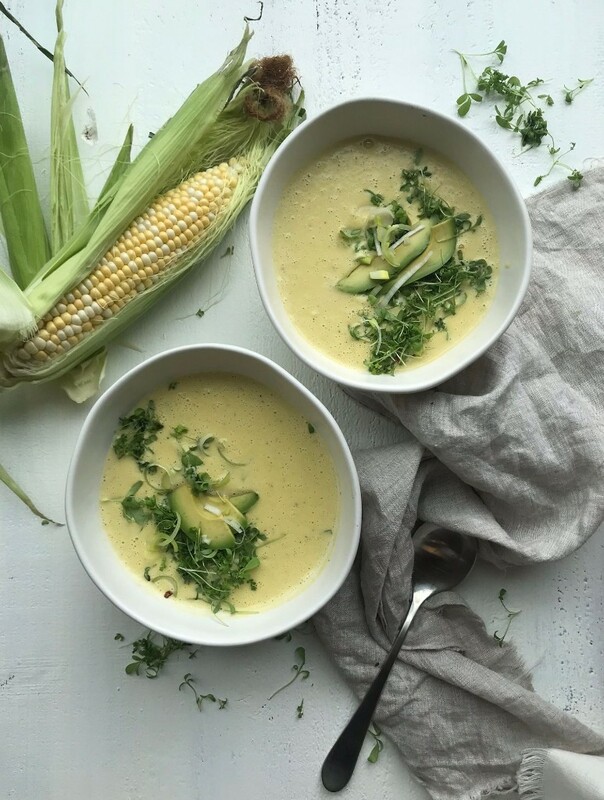 Fresh summer corn is here and it is not to be ignored! You definitely won't regret this creamy soup, trust us. 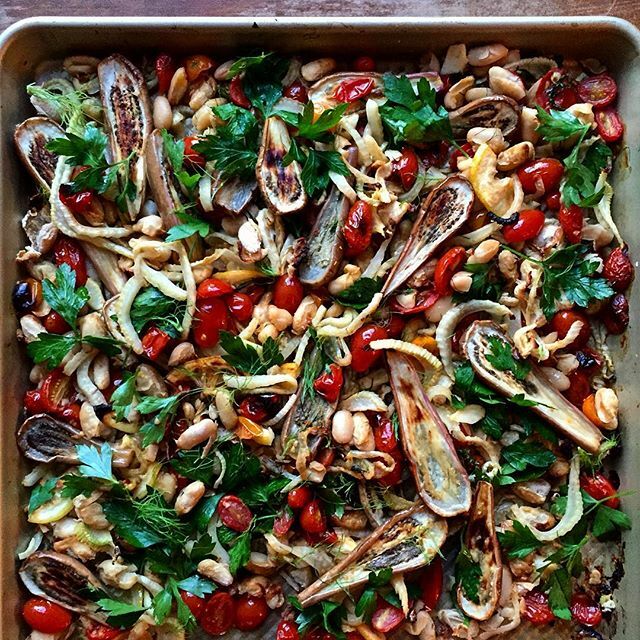 If you feel like this veg-heavy sheet pan dinner needs a little bit more, serve it with a bowl of quinoa or with a couple slices of your favorite toasted gluten free bread. 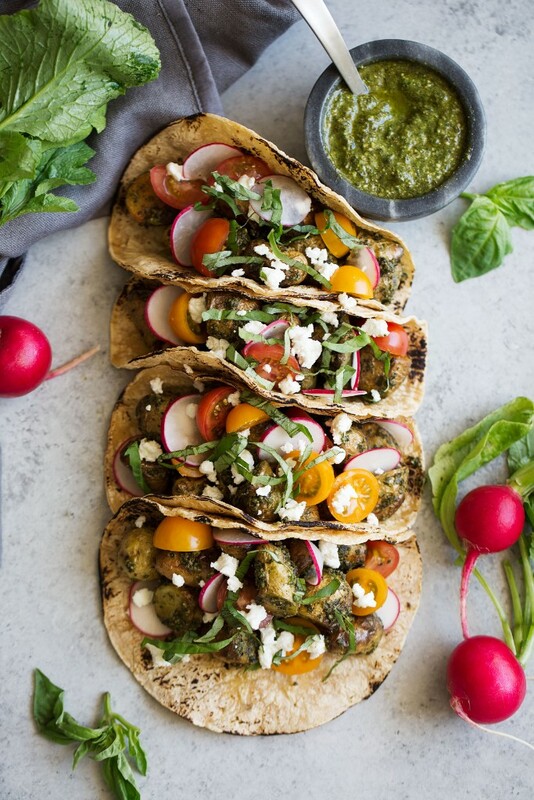 These tacos could very likely have you asking yourself why you don't add pesto potatoes to all your tacos. So. Freaking. Tasty. Feedfeed Tip You could make these with sweet potatoes or beets if you prefer! In case you needed an excuse to go buy a couple pints, you definitely have one now. This ganache is so simple, yet so rich. 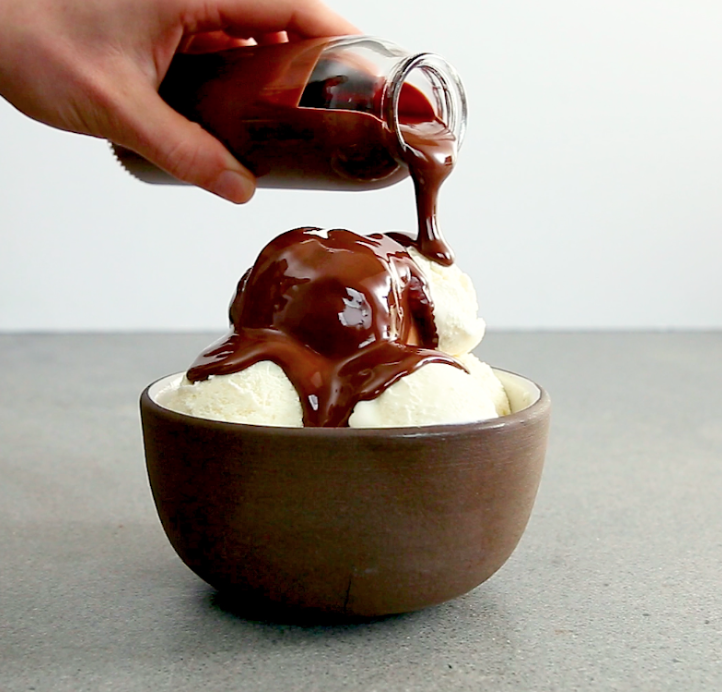 Take your weekend ice cream sundae bar to the next level with this indulgent ganache.